I introduce Peter Friis Johansson, a young concert pianist, to these pages and to you. But first, some initial comments on my recent evening at the symphony. My friend Vasil, who moved eight years ago to Stockholm from Bulgaria, suggested we attend the concert at Berwaldhallen on 27 May. Vasil’s favorite piano concerto was to be performed, the “Emperor Concerto” by Ludwig van Beethoven, his 5th piano concerto and his last. 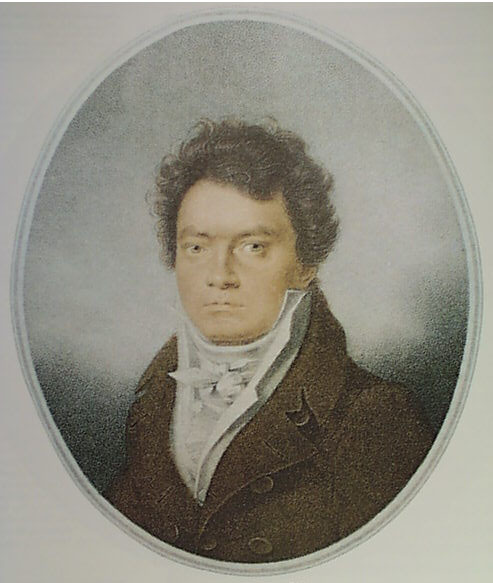 I have drifted away from Beethoven in recent decades primarily because I had heard so much of all his symphonies, concertos and overtures while living with my parents as a youth. Dad said Beethoven got him through “The Great Depression.” I have heard these symphonic pieces so often, even since I moved away on my own, that I feel I can anticipate every next note and musical phrase and bombastic surprise, which Beethoven tends to spring on his audience. I was keen to attend the concert with Vasil, in any case, because our friendship is new and this was to be the first time we were to be at a concert together. Spicing up the concert program, prior to the main piece by Beethoven, was a piece by a composer I had not heard of, Erland von Koch, his Nordic Capriccio, and a familiar piece by Igor Stravinsky that I like, a suite for small orchestra based on his ballet of the same name, Pulcinella. I haven’t forgotten about pianist Peter Johansson, but I will comment about the first two pieces of the evening before I present him here. Vasil found the von Koch piece “too loud.” I thought it sounded like a fanfare with quieter interludes of pleasant Nordic folk melodies, some of them quite familiar, through my listening to almost all the music of Edvard Grieg and most of Jan Sibelius’s, among lesser known Nordic composers (I suppose I should mention Franz Berwald, after whom this concert hall is named). I enjoyed hearing Stravisnsky’s Pulcinella for the first time in a concert hall. I could focus on the various musical sections, some with a single player per instrument, as in the woodwinds and brass, to enjoy their artistry and mastery of their respective instruments. I became restless, however, after the fifth or sixth of the eleven pieces of this suite, wishing I could see the dancing that the music was written for. Such minor criticisms aside, the Swedish Radio Symphony Orchestra and their conductor this evening, Per Hammarström, were superb in their presentation of the evening’s music. I have learned to expect, without disappointment, masterful presentations in Berwaldhallen. I had not read or heard anything about the pianist for the evening’s Beethoven’s concerto, so had no conscious expectations. As he entered the stage, however, I was struck by his apparent youth (this could be a perspective issue, given my age is 73 and Vasil’s is 77) and by his somewhat informal grace. By the latter, I mean that he was well-dressed, but his dress shirt was worn with an open collar—no tie—and he wore a modestly-colored non-black suit. This was a momentary and not unpleasant distraction, however, and I was prepared to like him as a person, at the least. Then he began to play. The concerto opens with the orchestra playing a grand chord, and then the pianist plays a cadenza ranging over much of the keyboard. This pattern repeats twice more, with the third and final piano cadenza adding rapid trills at the end of this section, as the orchestra then takes over for some minutes before we hear from the pianist again. Upon hearing and watching Mr. Johansson play these introductory phrases, his apparent youthfulness and my implicit expectations of such youthfulness faded. I was prepared now to watch an accomplished musician. Comparisons can be unintentionally onerous; nonetheless, I couldn’t help but allow two other pianists arise from my memory as I watched Mr. Johansson: Vladimir Horowitz and Glenn Gould. Horowitz I remember for his regal bearing and precision in playing, and Glenn Gould for his complete emotional immersion in the music. These three qualities, and more, were present in my mind as I watched and listened to Mr. Johansson. It was pleasant, also, to perceive the rapport between Mr. Johansson and the concertmaster, Malin Broman, who sat very close by him, and with the conductor, Mr. Hammarström. Peter Friis Johansson, born in Sweden, 1983. He began playing piano at age nine. His university studies were conducted at the Royal College of Music in Stockholm. He has a bachelor’s degree from the college’s department at Edsberg castle with Mats Widlund as his teacher, and he earned his master’s degree in 2007 after studies with Anders Kilström and Staffan Scheja . Since 2008 he has worked with the Russian pianist Konstantin Bogino. He made his first Recital at age 17. For his performance of Shostakovich’s first piano concerto he won the Young Soloists Competition in 2007. He has performed with, among others, the symphony orchestras of Gävle and Helsingborg and made a series of television and radio recordings. 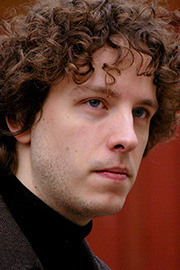 In 2008 he won the Yamaha Piano Competition and received second prize in the Nordic Piano Competition. As Mr. Johansson began the third and final movement I couldn’t help but turn to Vasil and nudge him in response to the wonderful beginning of this movement: a quiet introductory passage on the piano and then a burst of sound as the pianist presents Beethoven in full, followed soon by the orchestra accompanying him similarly. It was glorious. When the final flourishes of the piece were over, I felt like standing as the audience applauded long and loudly, but I didn’t want to be the first. I guess I’m becoming more Swedish. There were a few hoots of appreciation, however, including mine. Mr. Johansson returned for a quiet encore which sounded like a Schumann or, possibly, Schubert nocturne. As we left the concert hall and walked toward the cross-town Buss Nummer 4 which would take us to the Metro station at Fridhemsplan, Vasil asked me, rather encouragingly, whether I intended to write about the evening’s experience in this blog. His wish is my command. This entry was posted in Music & Musicians and tagged Anders Kilström, Berwaldhallen, Edsberg castle, Erland von Koch, Konstantin Bogino, Malin Broman, Mats Widlund, Nordic Capriccio, Per Hammarström, Peter Friis Johansson, Staffan Scheja. Bookmark the permalink.